Blood of jawan and tears of Indians are running in river Jhelum for at Uri, a town on the river – in one of the worst terrorist attacks on the Indian Army by fidayeen attackers, 17 army jawans were martyred. We pay homage to our martyrs. SYMA over the years has been greatly supported by kind-hearted donors. The names of donors of Rs. 1 lakh and above stand etched on the façade of our Medical Centre ~ the list is growing. 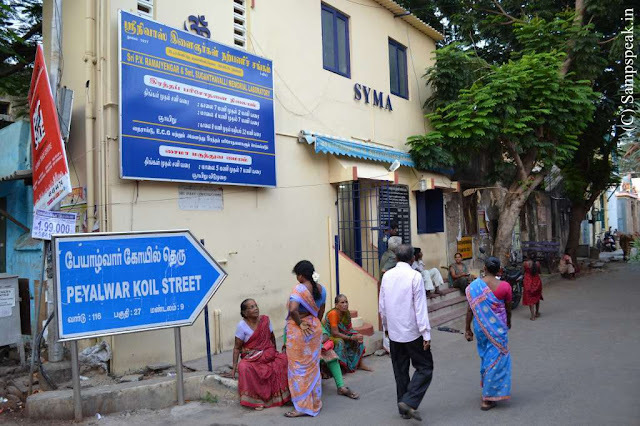 SYMA heartily thanks the new additions to the list … these noble donors by their kind act are ensuring that SYMA continues its service to the society for many more years to come. · Expanding our Medical centre into a specialty – we have planned to have consultation by experts on every Wedneday – starting this month, we had Eye consultation, Skin, and dental ~ நமது மருத்துவ பணிகள் மேலும் சிறப்புற, உங்கள் அனைவரின் ஒத்துழைப்பையும் கோருகிறோம். · A century is a great achievement – an article on Sri Mandayam Parthasarathi, the grand oldman of Triplicane, who turned 100 recently. Bliss ~ the voice of SYMA, the newsletter has silently crossed 100 – the present issue is 105th one. Of late, I am not in a position to bring out in time every month, thus missing a few months. Sincerely regret the missing issues and look forward to the support / contribution of youngsters in ensuring that it hit the stands every month. Nice blog, my friend's college writing services helped me find this blog. It's amazing how you customized you blog perfectly according to you language and at the same time managed to enable English-scrip translate effectively. Good job! I tel you what.